In a previous article on Android OS, we lightly touched on the CyanogenMod topic. ?In this article, as the title says ‘CyanogenMod for Android‘, we will discuss about CyanogenMod in details. Android is based on Linux and Java, this OS has had agreements with leading manufacturers of mobile phones such as LG, Samsung, ZTE, HTC and Sony Ericsson for the user interface. Linux is an open source OS -? this can be customized. This is the idea behind CyanogenMod.? CyanogenMod ?is a custom made firmware. If you are not sure what is Firmware click to read this article.? CyanogenMod is available for selective Android devices, one can create own version of? CyanogenMod. CyanogenMod includes other features which not found in the default firmware of the manufacturers, most of the code is written by Steve Kondik of? CyanogenMod. The story of CyanogenMod started back in 2008 when Steve Kondik and xda-developers got access to the root of HTC device, which allowed to make modifications to the original firmware and reinstall it without any problem operation. 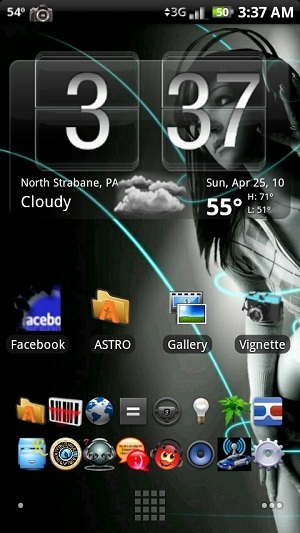 The additional features can be the touch gestures, inbuilt support for themes, DSP equalizer, FM radio, highly optimized battery management, reset the device in recovery mode, installing applications on microSD card, ADW application launcher, customizing the status bar, OpenVPN support, web browsing as being an unknown and more. Basically you need an software, a USB connecting cable, a computer and a Software. If you ever have upgraded a Nokia Smartphone yourself, you will already know that how to upgrade a firmware. In case of CyanogenMod,?you are not actually updating the default firmware, but installing CyanogenMod to replace the default OS, you need to sure about the model number specific CyanogenMod, you will not get any graphical interface but have to use the command line to ‘flush’ the device. CyanogenMod is not available for all the Android devices. If you try to install a different one than that of your device, either many things will not work properly as the drivers are actually included within the particular device specific? CyanogenMod and the worst is, you can end up with a totally not working device. Attempts to root generally does not voids the warranty, but you need to ask the manufacturer if you are apprehensive. If everything matches (i.e. CyanogenMod ?for x device and you are trying to install CyanogenMod on exactly the x device), the probability of getting a non functioning device is rare. Still rooting with CyanogenMod or any other has the risks. It is simply up to you whether you want to take the risk or not. The device generally gets a better performance, you can get rid of the unwanted programs installed by your carrier etc over weighs the risk, you can go for CyanogenMod. This Article Has Been Shared 9924 Times! Android Apps which are useful for the Bloggers and Webmasters, starting from posting to advanced work are listed in this post. Cite this article as: Abhishek Ghosh, "CyanogenMod for Android : What it is, How to install," in The Customize Windows, November 13, 2011, April 20, 2019, https://thecustomizewindows.com/2011/11/cyanogenmod-for-android-what-it-is-how-to-install/.